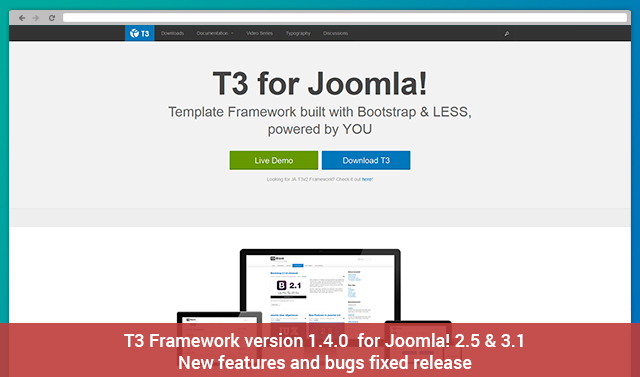 As Joomla released Joomla 3.1.5 version, T3 Framework quickly catches up with version 1.4.1 to make everything compatible with the latest Joomla version. 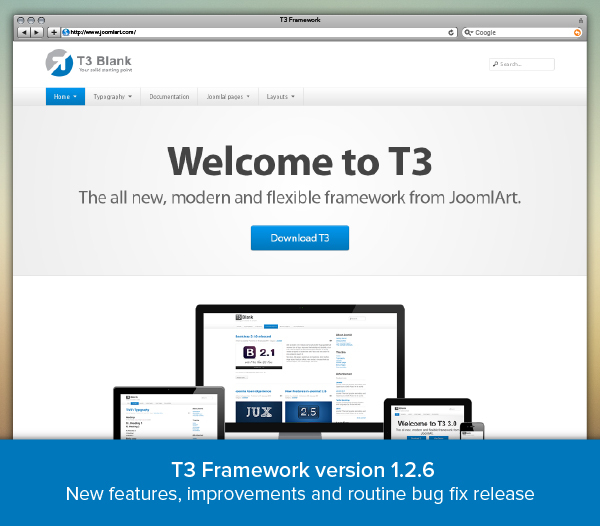 New hook feature was added to later develop future plugins for T3 Framework. We also improved several features for T3 Blank, such as Change less & language file structure, fix the disable responsive issue, update navigation core, support additional class for spotlight block and more. 3 more Joomla! 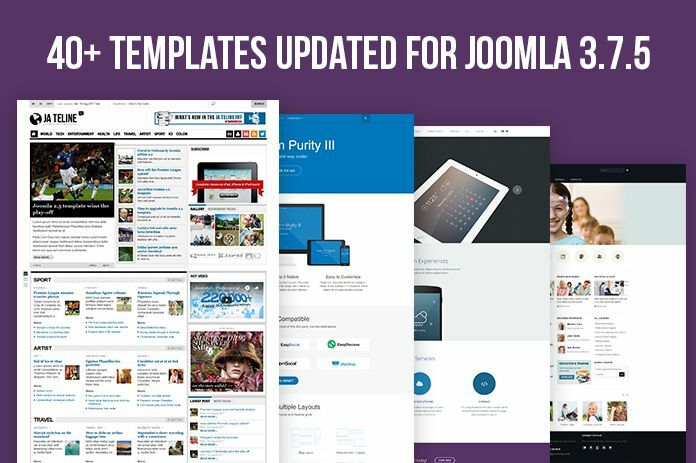 templates are now compatible with Joomla! 3.1. All 3 got routine bug fix done as well. Enjoy your 3.1 upgrade and don’t forget to ALWAYS backup! 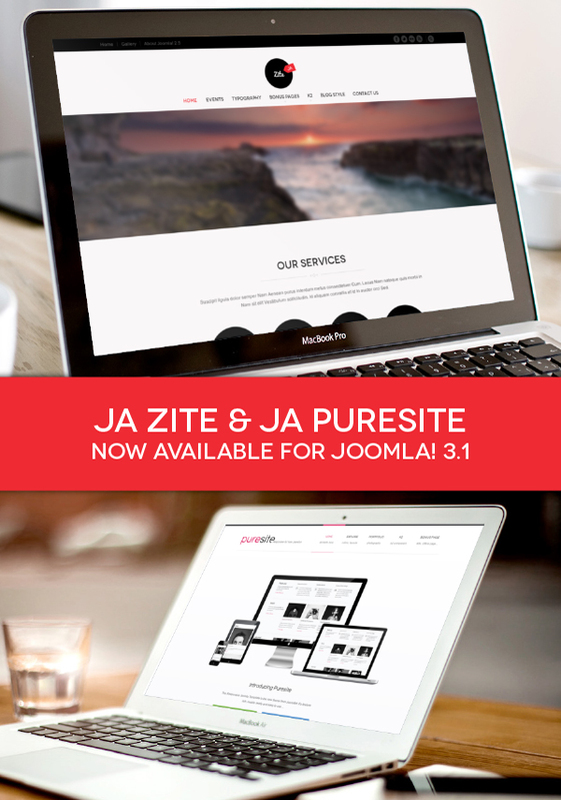 We have successfully upgraded JA Zite & JA Puresite to Joomla 3.1 and done several bug fixes. More details are in the changelog. More details on features, improvements and bug fix can be read at its changelog. 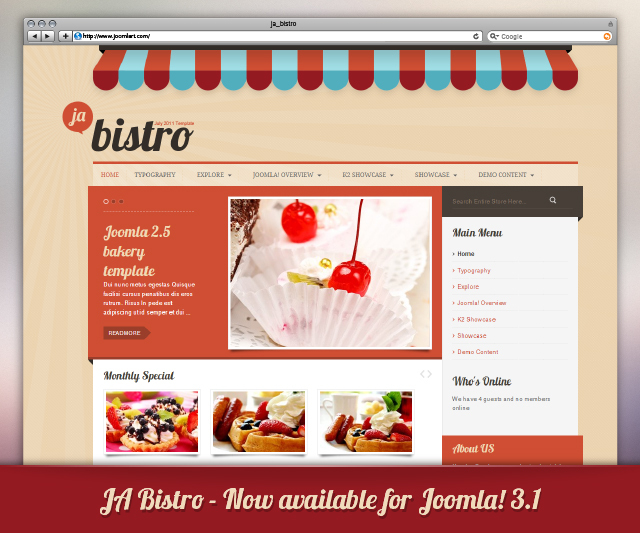 JA Bistro version 2.5.4 is now compatible with Joomla 3.1. We have also done routine bug fix for it as well. For more insights on the update and bug fixes, please read its changelog. 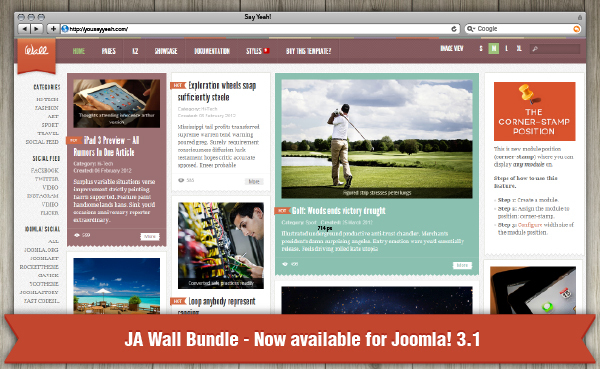 Your JA Wall bundle has been upgraded to Joomla 3.1 along with routine bug fix. For more details on the changes, please read its changelog. JA Smashboard version 1.0.1 has been released along with a new quick search feature and several bug fixes. Details can be read at its changelog. Please also remember to always backup your site before the upgrade. 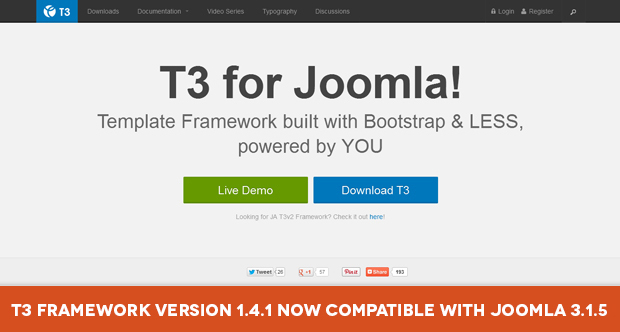 Your JA Teline IV is now available on Joomla 3.1. 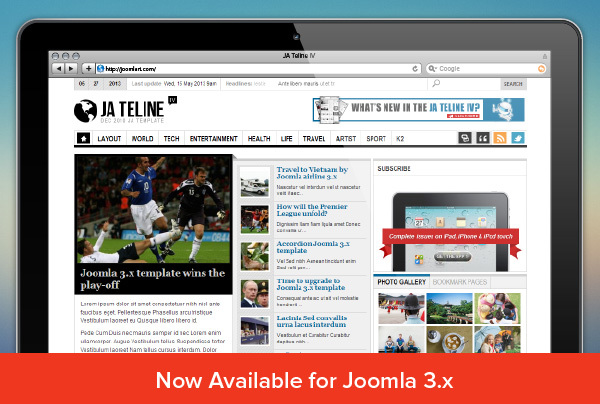 We also added K2 style for JA Teline IV - your favorite Joomla Magazine template. More details can be read at its changelog. Another batch of template upgrade for Joomla 2.5.11 and 3.1 including JA University, JA Lens and JA T3v2 Blank. Please always take due back-up of your sites before proceeding to the update process. Would not let you guys waiting for long, we have updated 6 Joomla templates quickstarts for the latest Joomla versions 2.5.11 and 3.1.1. Only the quickstart packages are updated, template versions are not affected. Please discuss issues related with these updates in each template respective forum.